You want Data Recovery Software ?.......You lost your all important Data in your Desktops or Laptop ? .... To day I am going to introduce wonderful Data Recovery Tool, Its helps you to recovering your all important data lost after Caused by any factor. 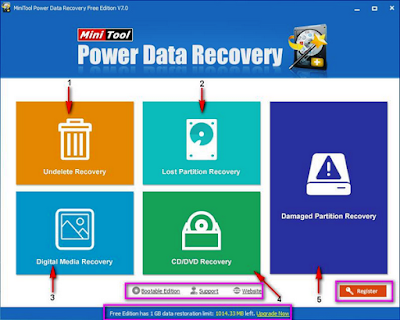 "Power Data Recovery Software" is best Tool for recovaring date after lost caused of accidental format , Virus infected problems, Software malfunctions,file/directory detection or even sabbotage it is an easy to use data recovery software that examines your inaccessible hard drives, CD/DVD Disk, memory card, memory stick, and other Digital media for damage corruptions and recovery the data. 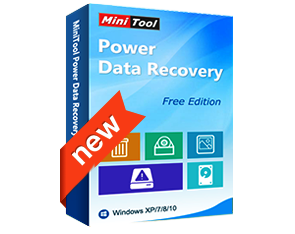 Everything you To Know about "Power Data Recovery software"
Power Data Recovery Software is from Mini Tool Solution Ltd.If any Person lost their important data after system format at Home or Office have any problem in data recovery process That Persons can know about "The Mini Tool Power Data Recovery Software" . It is data recovery for almost any data loss covering servers,desktops or laptops for media,Windows Operating Systems and file types.Its best Tool for recovering Video files, Music files and Photos from Digital Camera or an iPad very easily recover loosed data. Supported file systems : FAT 12/16/32 (used by hard disks,disks, Smartmedia™, Compact Flash™, Memory Stick and other),NTFS(used by hard drives) ISO9660,jolit,UDF(used by CD/DVD disk). Easy to use and 4 steps to recover your lost data. No technical knowledge is needed. Ability to scan all volumes in a local machine and build a directory tree of all lost and deleted files. Saving data to any windows drive is possible including network drives,removable media,etc. Supports NTFS Compressed and encrypted files. Supported Dynamic volume: Volume,Spanned Volume,Stripe Volume,Mirror Volume,Raid 5 Volume. Ability to load the previous recovery result. FAT12,FAT16,FAT32,VFAT,NTFS,NTFS5 and ISO9660, Joliet, UDF File system. 486 486 or Pentium-class processor IDE/SCSI hard drive 64MB RAM (128 MB recommended) Windows 98/Me/NT/2000/XP/2003, 100 MB of free space. A second hard disk is recommended for recovery.